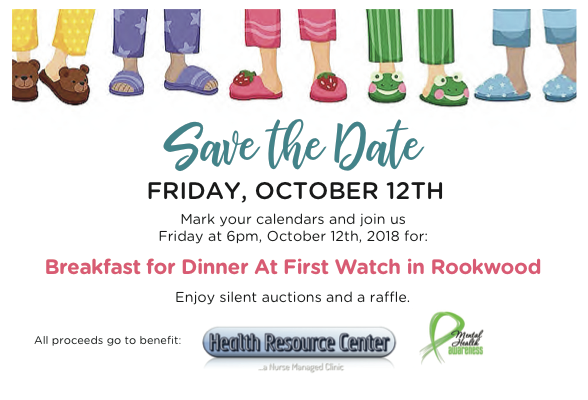 Breaking News - Health Resource Center of Cincinnati, Inc.
Save the date and join us for a fabulous "Breakfast for Dinner." FirstWatch provides a wonderful selection of breakfast foods for your enjoyment. The silent auctions feature baskets especially prepared to appeal to a wide variety of interests and needs. And it wouldn't be an HRC fundraiser without our raffle in which you can have a chance to win a fabulous donated prize. Join us on October 12th. Meet old friends and make new ones. And most of all, help HRC continue the work it began back in 1995...helping those homeless, indigent, and low income individuals who have fallen through the cracks of our mental health system. We appreciate your continuing support.